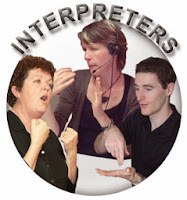 The first post earlier this month about The Interpreter's Voice(s) has come as close to 'going viral' as any post on this blog is ever likely to get. Well over a thousand page views. (A page view is Google's unit of measurement for its statistics of visitors to blog posts.) Apparently, though, most of its readers were disappointed, because only 200 of them went on to read the continuation post. What were they expecting? Never mind. It received approval from places as far apart as Japan and Uruguay. 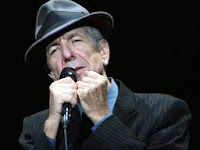 As Leonard Cohen so humbly puts it in his Tower of Song: "What can I do? I had no choice... I was born with the gift of a golden voice." Thank you Lionel. Thank you Trini. Leonard Cohen. The Tower of Song. From his album I'm Your Man, 1988. It's on YouTube: click here. This week a student, faced with a dilemma over choosing her thesis topic, wrote to me as follows for advice. I've been reading your posts for a period of time and it is really helpful. Therefore, I would like to consult you on the matter of a thesis since your experience and knowledge in this field surpass my poor one. I'd appreciate your help. Actually, I'm confused about a thesis topic. Sometimes, I find myself into machine translation assessment and other times audiovisual translation, subtitles in particular. I did read on every single aspect of translation studies and yet it is hard to decide. So, could you please help me by suggesting some useful topics that you think are worth doing research about? Or maybe some good ideas to start with. I'm glad to hear you find reading my blog useful. In order to answer you, I'd like to know something about your background. Where are you from? Where are you studying? What languages do you know? I ask this because, as a general principle, you should choose a topic that is relevant to the context in which you live. In that way it should be easier for you to find data at first hand, perhaps even in your own personal experience. For instance, I write about multilingualism and translation because I've been living for 50 years in societies (Quebec, Valencia) that are multilingual and use translation on a daily basis from childhood, not because I've read about them. Do not choose topics like MT or AVT just because a lot of other people are studying them and writing about them at present. That's 'jumping on the bandwagon'. Try to be original. In that way you may be lucky enough to add something fundamental to our understanding. This post is the conclusion of the preceding post. Please read the other one first. 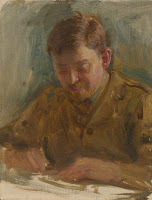 The last post gave a round-up of the voice registers that an Expert Interpreter should master and told a couple of stories to illustrate them. Here's one final anecdote. I'd like to be able to interpret like those interpreters some day, but there's one thing that worries me. Why do they sound so bored? Here, paraphrased, is his answer. The general public is only aware of the most dramatic events at the UN, like the Security Council meetings. But our mos important work is done away from the spotlight, and the most interesting part of it is done in small, private negotiations, usually in consecutive. (For which reason, don't forget your consecutive.) What the public gets to hear in meetings like this morning's is mostly what we interpreters call blah-blah. We get to sound bored because we are bored. The moral of the story is that interpreters should beware of letting their voices be affected by the material they are translating or by fatigue. If they do, listeners will soon notice it. In the heyday of radio, there used to be an occasional course for announcers in North America, for instance the one offered by the National Institute of Broadcasting in Canada. 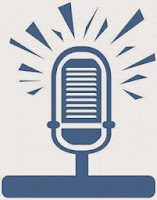 Today, the same level of microphone voice is needed for the burgeoning industry of voice-over, though interpreters lack ‘drama‘ and actors are preferred. Nevertheless, writings on the subject are few and far between in the large literature on interpreting. As for practical training, the only dedícated course I know of is the one that used to be given by Ailsa Gudgeon, a British professional voice coach, in the late and much lamented programme at the University of Westminster (see References). And how about even less documented languages like Arabic or Chinese? Strange, isn’t it, that such an important skill as voice production should receive so little attention? Every interpreter training programme should include a module on it. The other day I was reading a comprehensive manual of interpreter training by a Spanish friend when I came upon a quotation that confirmed something I've long suspected. It's from an article by the late Hildegund Bühler. She ranks the qualities of a 'good' interpretation. Most Expert Interpreters and interpretation teachers would put something like her "Sense consistency with the original message" in first rank. Bühler's list, however, begins with "native accent" in first place. This is understandable if you know that her ranking is based not on what the experts think but on the preferences of listeners to the interpretations. As I used to say to my students, "You can get away with murder if you do it with a native accent." But a surprise came with her second-ranking quality, still well ahead of "sense consistency", etc. It's "pleasant voice". 1. Whispering may be true whispering, ie, to speak very softly using one's breath rather than one's throat and devoicing the voiced sounds. Or it may be murmuring, ie, using normal articulation but very quietly. This is a natural mode but it has a common fault in practice, which is to let the volume rise to a point where it disturbs other people around who don't want the interpretation. 2. Microphone voice. This is the register used in simultaneous interpreting, for an obvious reason, and hence in the stories told above. Since microphones aren't natural, nor is this register. But it's not only a matter of volume. If you've listened to your voice recorded through a mike you know – and may have heard with surprise – how the process changes its timbre and hence its character. Common faults are speaking too close to the mike, hissing on sibilants, speaking too loud. The last is made more likely by the headphones simultaneous interpreters have to wear. Today the register is needed as much for TV as for meetings or radio. 5. Court interpreting. Here we take a big jump into the unnatural. It's the register not only for the courts strictly speaking, but also for tribunals and public hearings, workshops, etc., that are still often conducted without microphones. In court it is a legal as well as a practical necessity that everything the interpreter says be heard by all present, even the people seated behind the interpreter, and this requires high volume and voice 'projection'. 6. Oratorical. For large audiences. There should be a microphone for it but sometimes there isn't. I've had to do it, for example, when the equipment for simultaneous had broken down. It requires conscious boosting of volume, projection and endurance equal to what is required for the traditional theatre. Indeed I got my training for it doing amateur theatricals at school. dialogue-interpreting in immigration hearings and medical encounters. Linköping University, 1992.